The right wine enhances the good moments in life. Discover why wine inspires such a passionate interest in some people. Wine is a great gift. Thousands of grape varieties give an incredible varied array of wines. Grapes transfer to the wine the same characteristics of the soil and climate they absorbed while on the vine. Wine is made virtually in every country and you can easily drink your way around the world. Mind, it may pay to actually go and visit for real as many artisan wine makers don't reach the shelves of the big stores. Wines in Europe are a tradition; winemaking, an art. Here is where you will find the countries with highest productions and the ones more used to drink wine, where wine is a cultural symbol. Once inside Europe, wines in Italy gives a very brief description of most popular Italian wines, to help you choose your Italian wine in a restaurant or for a home Italian dinner. Does your love for wine point to Tuscany? Consider staying in a working winery, combine learning and travel with a wine course, or take a simple wine tour in Tuscany. Wine in Spain is ancient history. Spain is one of the oldest wine producer countries in Europe, yet Spain is the origin of some of the most modern wines in the European landscape, without forgetting the homely wines that don't make it to the great catalogs but help you to have a memorable experience with Spanish tapas. Wine in America, a cup brimming with wine trivia and fascinating facts about the wine growing countries in the American continent. Consider a tour of the wine in USA, discovering first the California wine regions. Chile wine production has grown and its wines find their way to all other countries. Follow with a glimpse into the wine industry as it is today in this vast continent in wine in Africa. Wine did not have the importance in Asia that it always enjoyed in the Western world. It is true that the climate in most of Asia does not encourage wine production but there are some promising areas. China, Japan and India are developing an interest in wine and there are some domestic wine industries growing gradually, and there is the Middle East region with wines of merit. We can talk about wine in Asia. Oceania is part of the new world of wine. Making use of the latest technological advances in winery and vineyards and with stable climates and extensive space they have proved that the new world can compete with the European regions in producing top-quality wines. There's a story to tell about Oceania and wine. 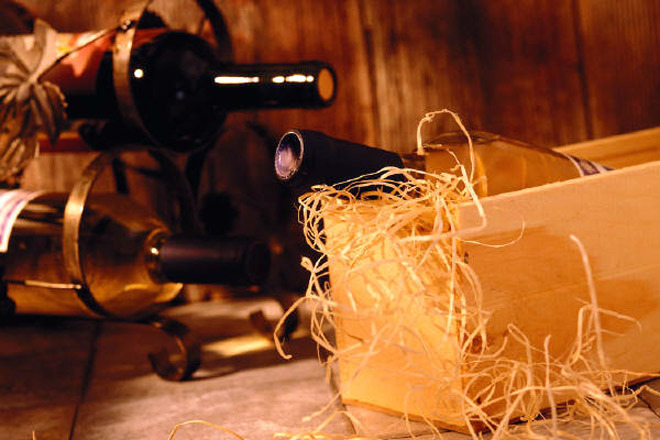 Our wine cellar stores full-bodied, flavorful articles covering all what you need to know about wine. Find the key features of a perfect wine cellar or what kind of wine cellar equipment you should consider. Wine baskets are a fine gift and combining wine and food they would please even those who never drink wine, surely they know how to appreciate a good thing. Find how to choose the best wine gift baskets and how to make one. Have you considered how the shape of a wine glass affects the taste? They do.